September 19, 1943 Joe Leonard Morgan, hall of fame baseball player, was born in Bonham, Texas and raised in Oakland, California. Morgan was signed by the Houston Colt .45’s as an amateur free agent in 1962 and made his Major League debut with them in September, 1963. 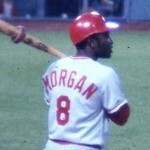 Morgan was traded to the Cincinnati Reds in 1971 in what many consider to be one of the worst trades in Houston history. 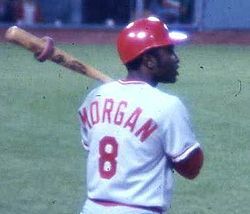 Over his 21 season career, Morgan was a 10-time All-Star, 5-time Gold Glove winner, National League Most Valuable Player in 1975 and 1976, and 1982 Comeback Player of the Year. Morgan retired as a player at the end of the 1984 season. In the “New Bill James Historical Baseball Abstract,” James named Morgan the best second baseman in baseball history. Morgan was inducted into the Baseball Hall of Fame in 1990 and he is currently a commentator for ESPN television and radio.